You would like to possess a unique piece of art that expresses your attitudes and way of life, decorates your garden or driveway or even represents your company? 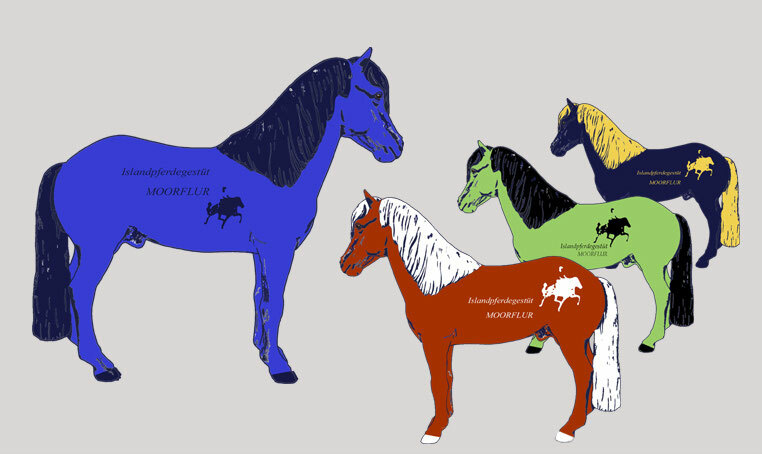 I would be pleased to assist you in creating the first drafts or to realize your ideas in a professional way and thus helping you to get your quite personal dream horse. The possibilities of creation are almost unlimited! Feel free to contact me if you would like an individual offer. 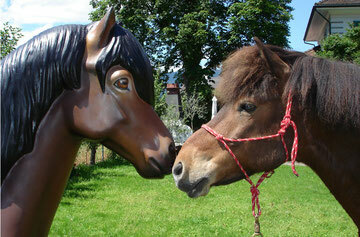 After ordering the horse sculpture at http://www.berlin2013.de/myhorse-order.html it will be delivered to my studio. I will then create your horse according to our agreement and will send you some pictures of the completed sculpture for your comments and control. On receipt of your O.K. and the respective payment the piece of art will be shipped to you by a forwarding company. 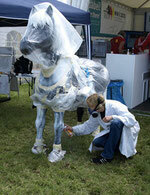 Deliveries for the World Championships for Iceland Horses 2013 or for any other event are just as well possible. It is recommendable, however, to contact me in due time in order to avoid time squeezes before the World Championships.